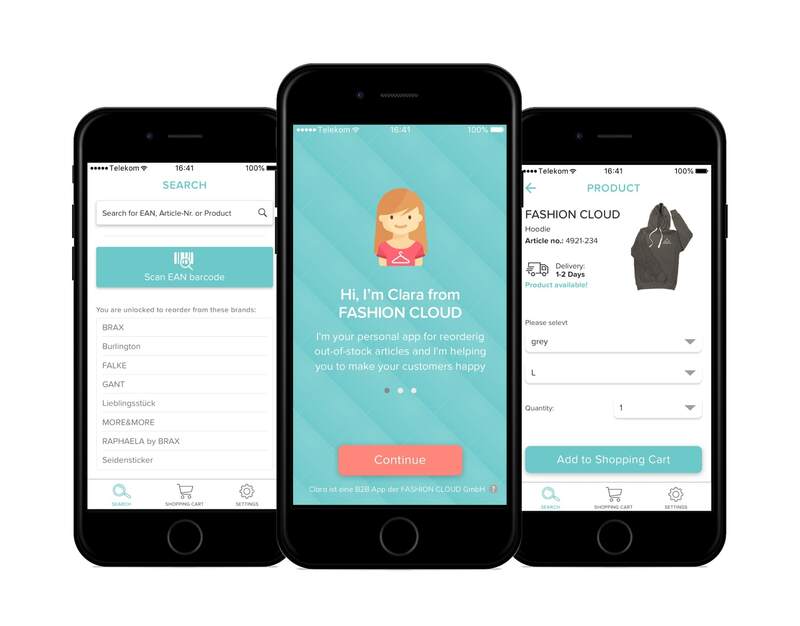 Become digital with Fashion Cloud. We provide innovative and digital solutions for your daily work. Our products will facilitate your daily work for you and your employees. The intuitive operation and the easy integration into your systems make our products extremely user-friendly. The combination of IT- and Fashion Know-How is what makes our team particularly capable of understanding your needs. The Content Area on our web platform enables you to easily download images, logos and product data of your brands. Import product images in your ERP systems. Benefit from one central, cross-supplier Order Area on our web platform. Re-ordering has never been so easy. Available in spring 2019. This app enables you to access the endless aisle easily. 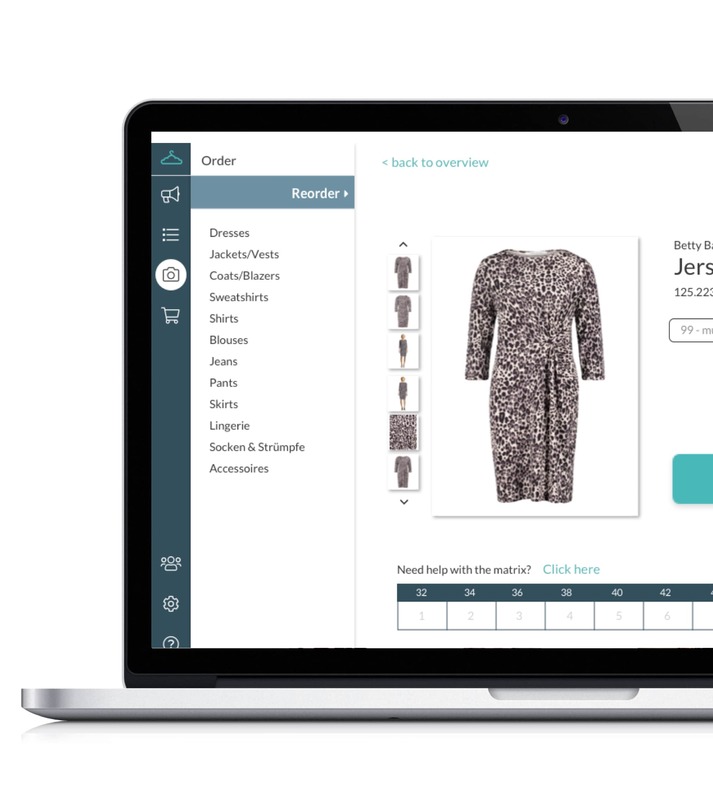 With only a few clicks your sales staff can order missing items directly at the POS. 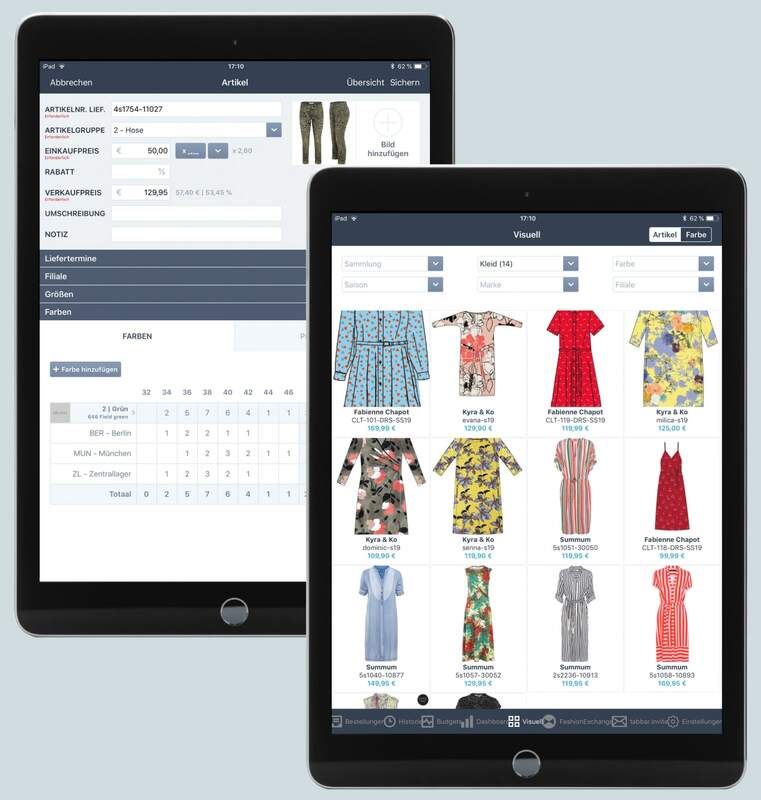 Keep track of your orders, budgets and products throughout the whole preorder process – starting in the showroom and during the follow-up. Promote your company and become part of Europe’s leading B2B platform in the fashion industry!